You have a favorite charity you want to raise funds for. I can help. A great girly night in. Why not invite your friends for a get together maybe have a glass or two. I can come round and show you the *Body Shop Products*. You get to try them before you buy. There will be some mini games, a chance to win small prizes and most of all have fun *The Body Shop at Home* must live in Newcastle Upon Tyne. 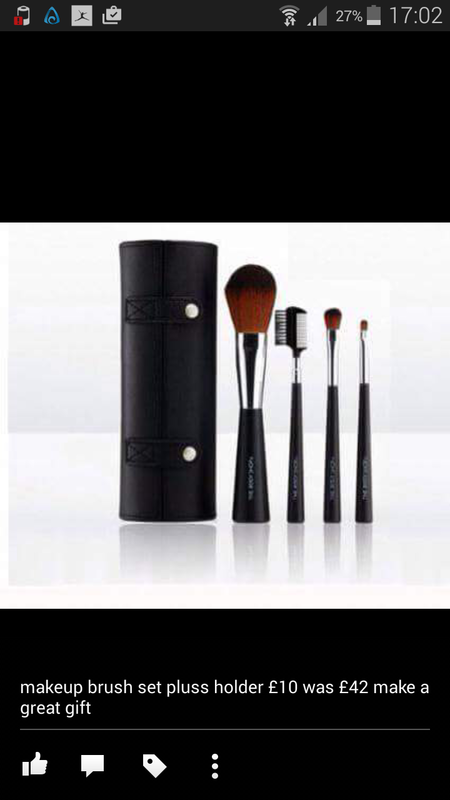 While stocks last body shop make up brushes your for £10.00 was £42.00 thats a saving of £32.00 they r selling like hot cakes.